Final component added to finish construction. 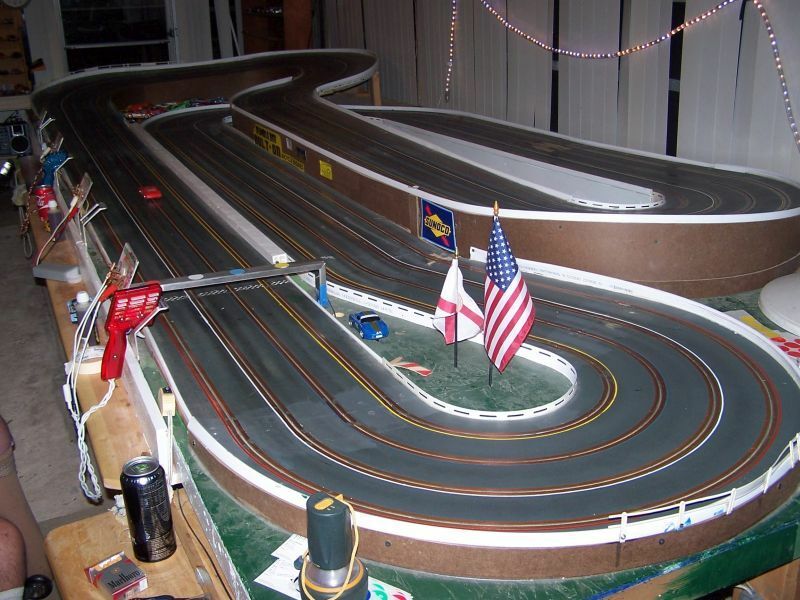 Last night, Sunday, October 25th, the final component was added to my raceway. 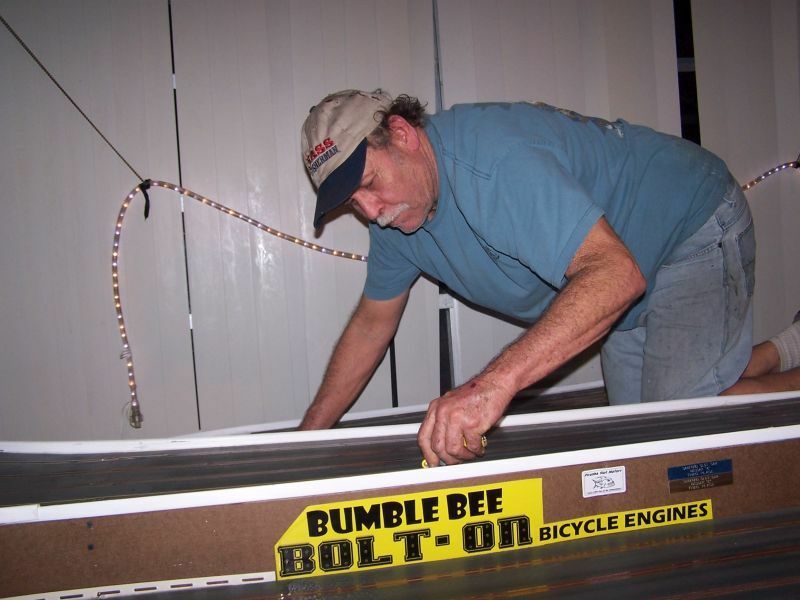 Garold Page came over and added the lane striping to the track. 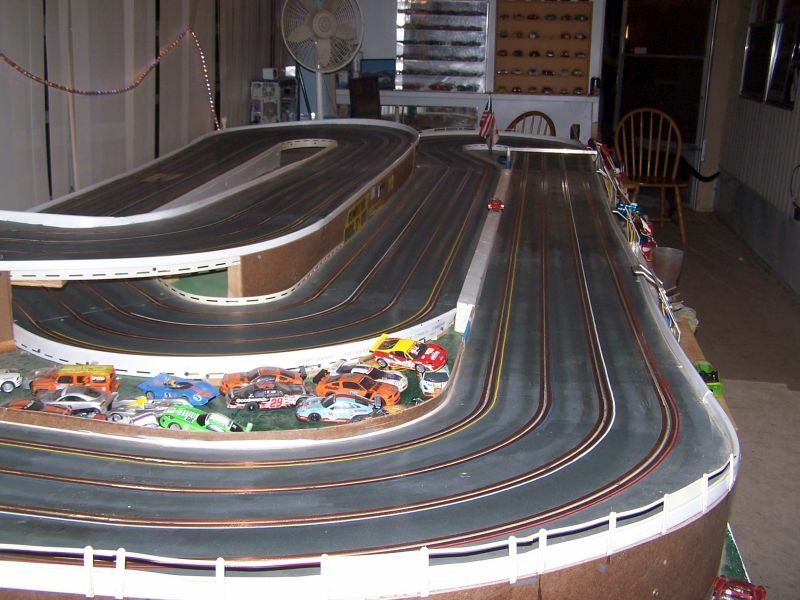 And now that it has dried everything is ready for racing. No more guessing about which lane a car belongs in after a deslot.